I hope you all had a Merry Christmas! It has been a little bit different for us this year. We have had snowy weather so we have just stayed couped up at home (lazy days). We went nowhere on Christmas day, well nowhere unless you count going up the street to Maverik in search of bread that we didn't think we would need because we weren't supposed to be home. There were no trips to the mall and we didn't hit any after Christmas sales. A quick trip to the store for some essentials and back home to snuggle up on the couch. 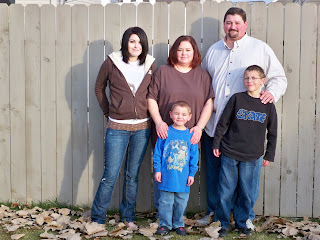 In some ways we missed out, in others it was nice to just be home together. Life gets so crazy and busy sometimes that it's nice to take a little time out to just breath. 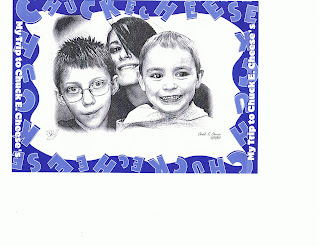 With Mason's birthday looming, it was time for a trip to Chuck E. Cheese. I guess you could say this is becoming a tradition (if you consider twice a tradition) to go to Chuck E. Cheese for birthdays. I have a feeling that if the boys have any input, Lexii will also be spending her birthday there! We let Nate skip out on school a little early and we went in the afternoon. We had a blast! Hardly anyone was there and they gave us tons of free tokens and tickets. 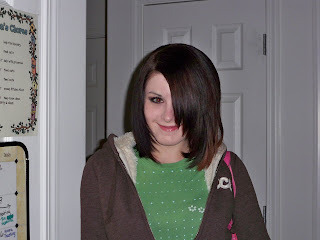 Lexii's favorite things were the picture taking booths. They were really neat. There is one that prints pictures out that look like a drawing (like the one above) and one that prints out I.D. cards. Very cool. 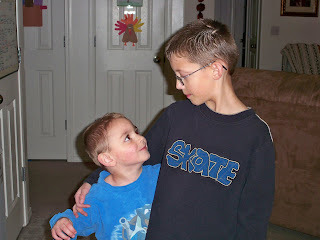 Nate loved anything that gave him a lot of tickets and Mason loved climbing in the indoor playset (Lexii told me later it had throw-up in it- I hate those things, they never get cleaned and are very gross!). Steve loved having an excuse to play video games and I just loved seeing everyone together having so much fun. Mason convinced us that even though it wasn't his birthday until Sunday that he should still be able to open a present or two because it was technically a birthday party. Of course he won out and spent the rest of his night showing us his "Jedi moves" with his new light saber. It's so hard to believe that he is turning 5. If this past year is any indication of what is to come, we are definitely in for an adventure! At least he keeps us laughing. O.K. it's official. I am the WORST blogger ever (notice that I picked a background that is not just for Christmas in case I don't get here again for a while). I love to see what everyone else is doing, but I guess I forget that maybe somebody might care what we've been doing. So here's what we've been up to lately. 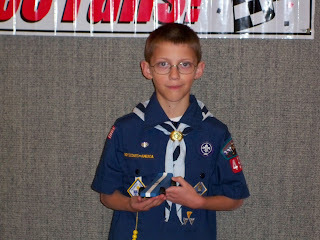 Nate has been really busy with school projects and the Pinewood Derby for scouts. He and Steve had a great time working on his car. 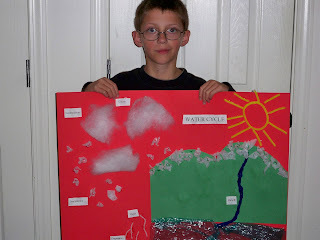 I just realized today that Nate is half-way through with fourth grade -he is growing up way too fast. He has also started basketball practices for this season. Steve is helping coach his team this year. Mason is just as crazy as always. He has been dressing up in costumes again and having a great time decorating for Christmas. He is sad that we are on break from school right now but Nate is off-track for a month so he should be plenty entertained. 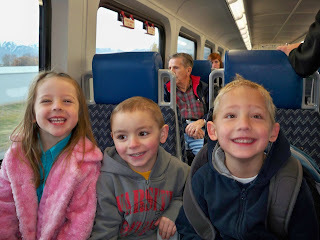 We took an awesome trip on FrontRunner to the Ogden train station as a field trip. 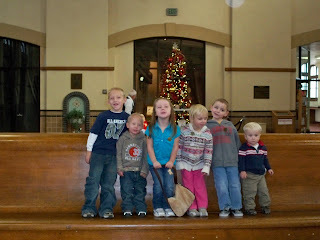 The kids (and adults) had a great time. Lexii is as busy as can be. It seems that she is never home. She works a lot (2 jobs) so at least that keeps her out of too much trouble. 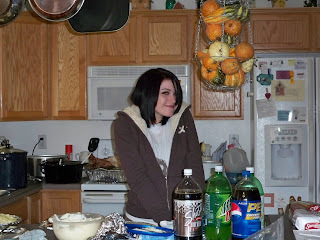 We did see her on Thanksgiving, though. 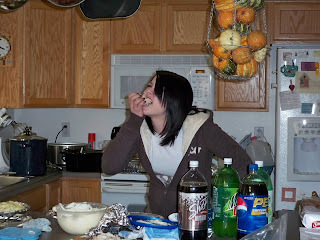 Here's a nice picture of her shoving way too much mashed potatoes in her mouth. Very attractive! Well, that's what we've been up to lately. Not much new with Steve and I, we just chase everyone around and try to find some sense of order in all the chaos. I'm really going to try harder to keep you updated!